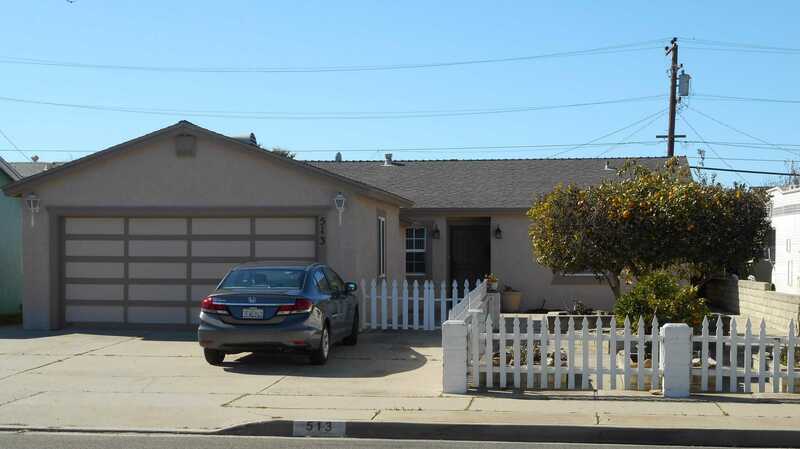 Pride of Ownership 4 bed, 2 bath Contemporary Ranch style home in Lompoc's desirable Northeast community. Numerous upgrades throughout including dual pane windows, ceiling fans, beautiful laminate & tile flooring. Spacious master bedroom & family room addition plus breezeway enclosure & garage conversion make this home ideal for an extended, or dual family, living arrangement! Updated kitchen (Santori custom cabinets!) & baths. Enclosed front courtyard creates additional outdoor recreation space. Private backyard features patio, fruit trees & storage shed. Great location, close to Lompoc Hospital, Home Depot, Wine Ghetto, La Purisima Mission,schools, parks & shopping! Great for commuters, easy access to Highways 1 & 246. Alley access in rear. Please, send me more information on this property: MLS# 19-427 – $389,000 – 513 7th St, Lompoc, CA 93436.